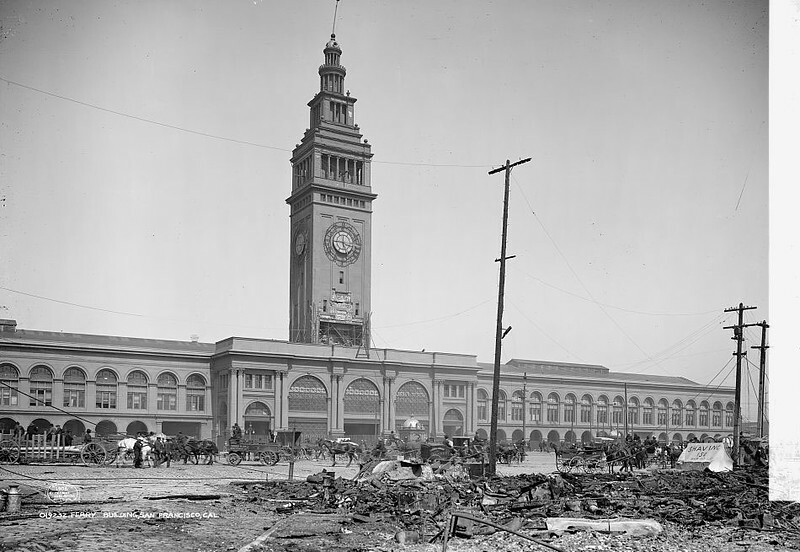 Above: The Ferry Building in 1906. Courtesy of the Library of Congresss. 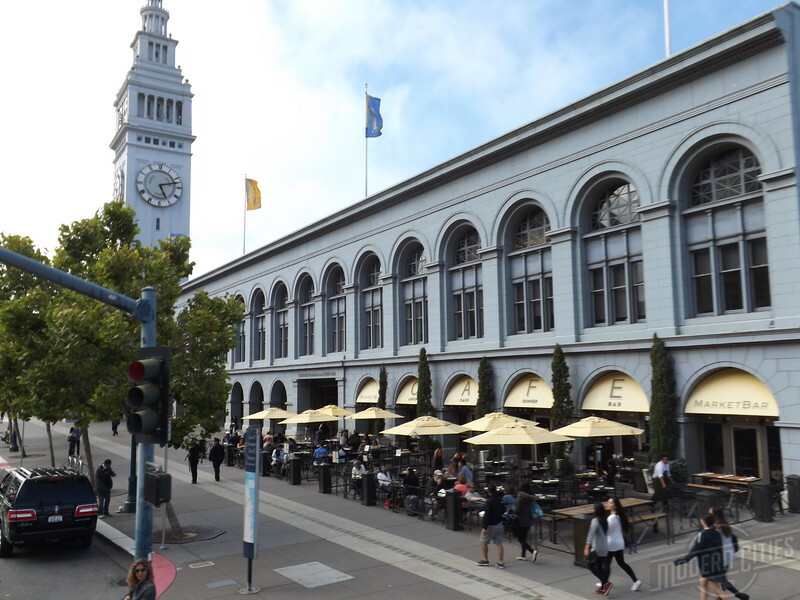 Below: The Ferry Building in 2015. 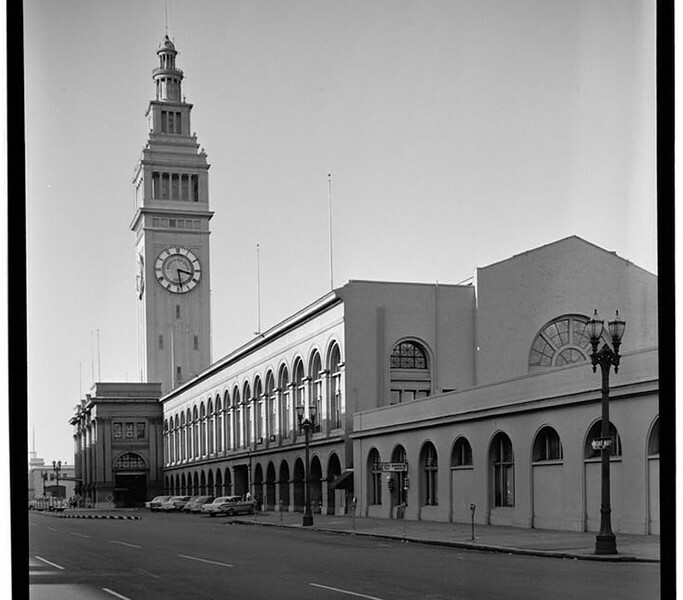 Above: The Ferry Building on October 2, 1960. Courtesy of the Library of Congress. 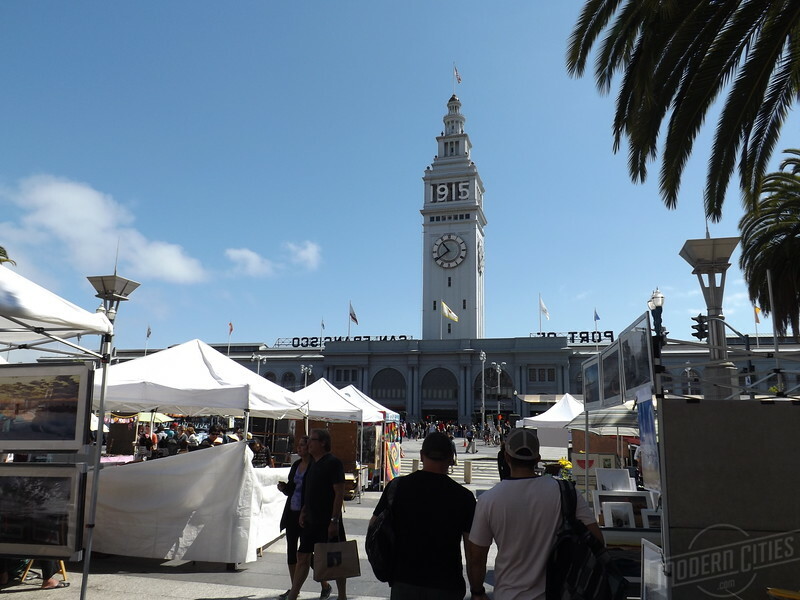 Below: Today, the ground floor of the Ferry Building is devoted to a 65,000-square-foot public food market showcasing the very best of the Bay Area’s world-renowned food community. 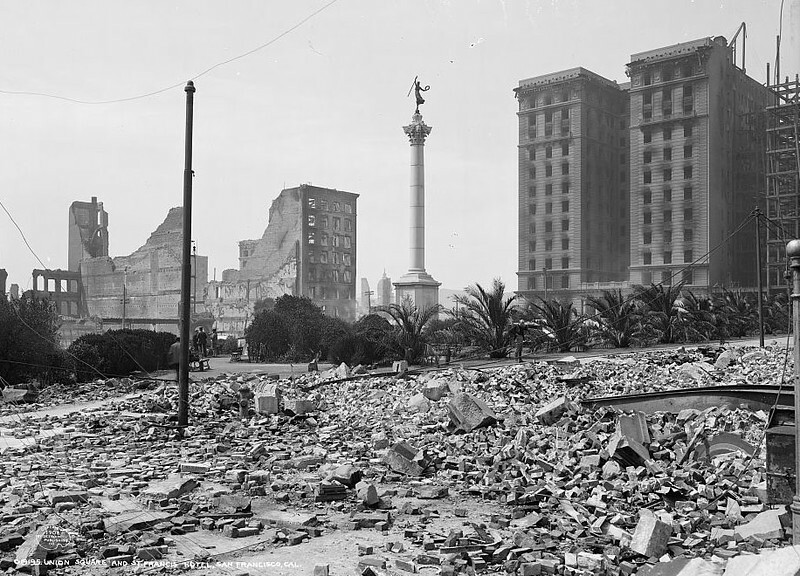 Above: Union Square and the St. Francis Hotel after the Great 2906 San Francisco earthquake. Courtesy of the Library of Congress. 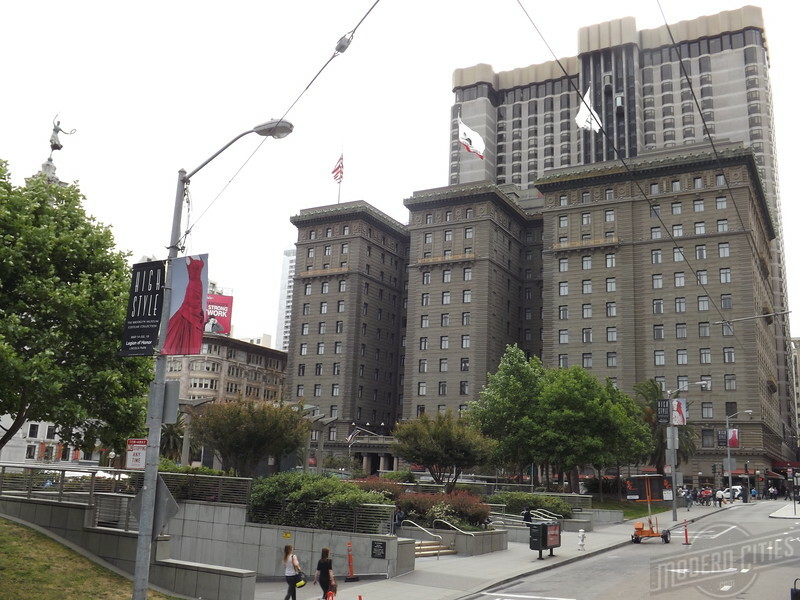 Below: Union Square, the Westin St. Francis and its 32-story, 1972 addition. 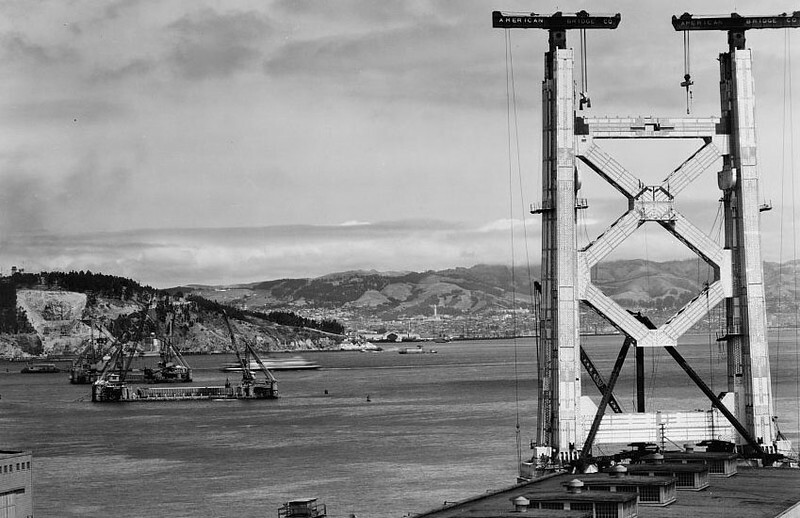 Above: The San Francisco-Oakland Bay Bridge under construction in 1934. Courtesy of the Library of Congress. 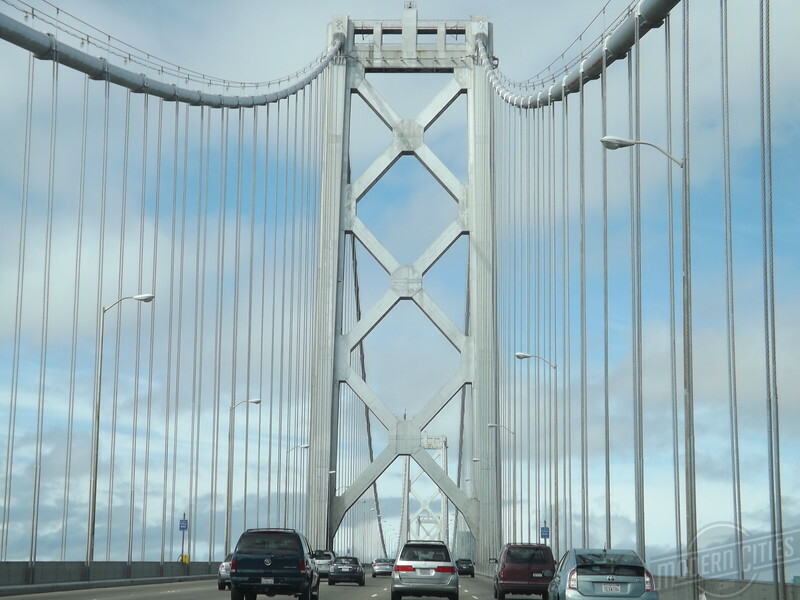 Below: Today, bridge carries 240,000 vehicles a day on its two decks linking San Francisco with Oakland. 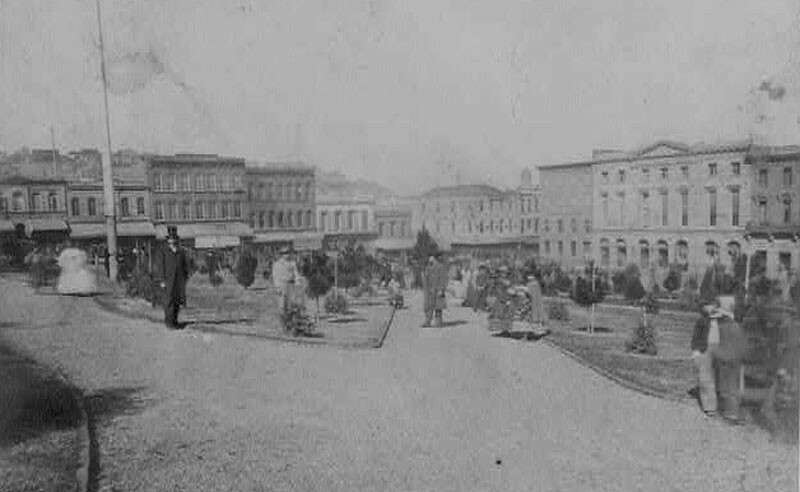 Above: Looking north in Portsmouth Square in 1851 during the Gold Rush. Courtesy of Wikipedia. 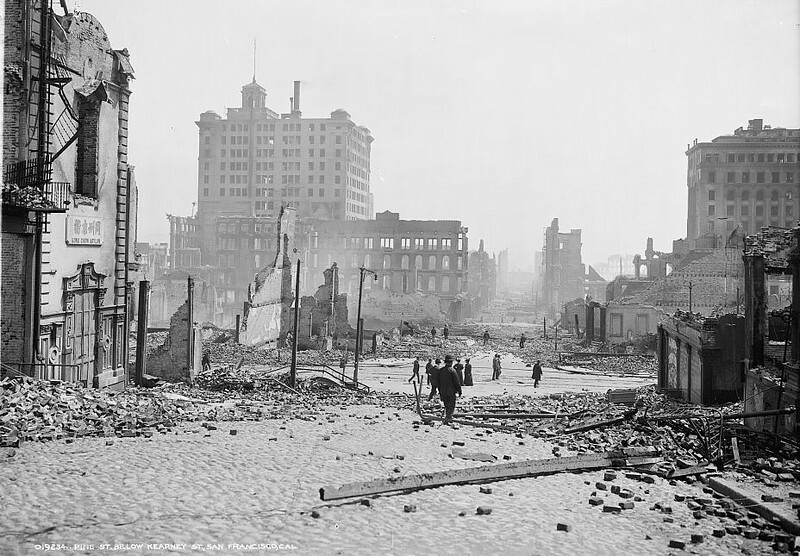 Below: Looking south in Portsmouth Square. 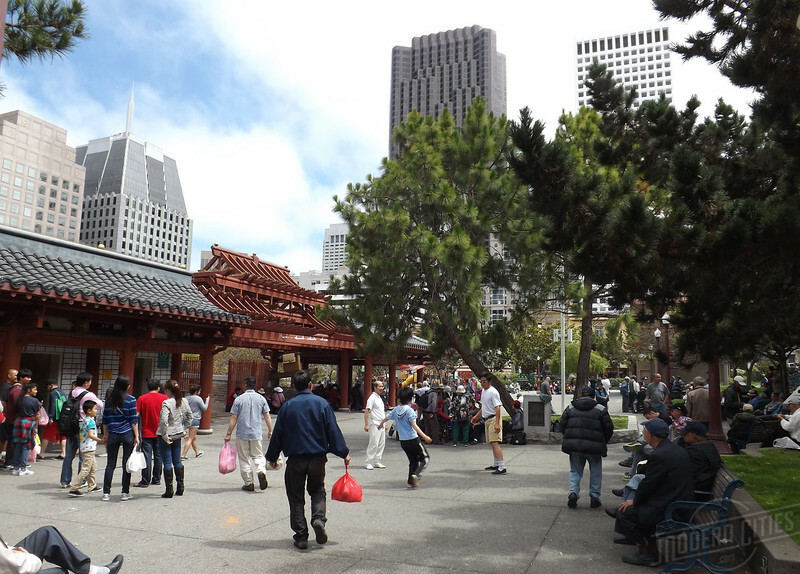 Today, considered a part of Chinatown, it has been called the “Heart of Chinatown”. Above: Pine Street below Kearney Street in 1906. Courtesy of the Library of Congress. 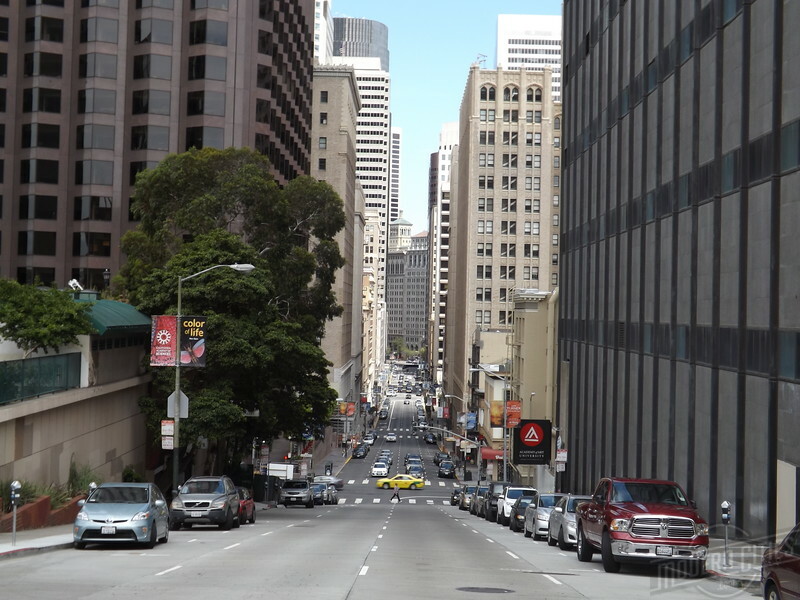 Below: A 21st century view of Pine Street below Kearney Street.